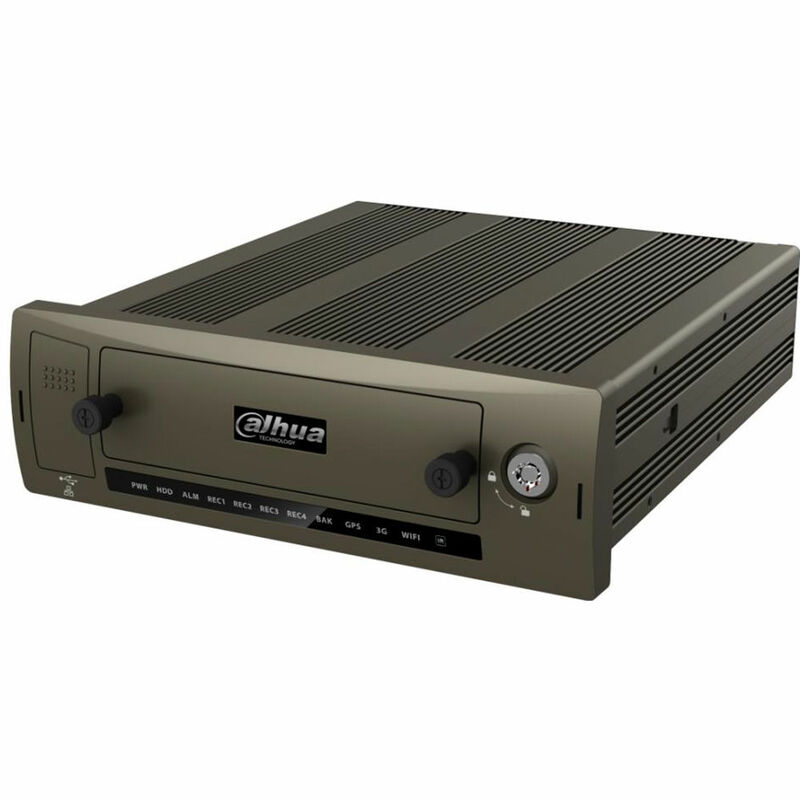 Record and monitor the video feeds from up to four HD-CVI or NTSC cameras with the DHI-MCVR5104 Series Mobile 4-Channel 1080p DVR from Dahua Technology. Designed for use by transit agencies, this mobile DVR operates across various transportation networks and uses M12 aviation connectors to ensure sturdy and reliable camera connections. It provides simultaneous VGA and TV video outputs, as well as seven alarm inputs, two relay outputs, and audio in/out connections for two-way talk. The DHI-MCVR5104 offers advanced functions such as built-in motion detection algorithms, alarm triggers, and customized recording modes.